What is the first thing that comes to your mind when you think about Hungary? The out of world leggy babes of course, how a stupid a question that was. So, more specifically when you think about Hungary and its connection to extreme metal music how many bands come to your mind? Not many will answer be able to answer that question because Hungary and extreme metal haven’t really mixed but there are a few noteworthy bands. Pokolgép for example was a brilliant heavy metal band. Void Of Sleep is decent doom metal band and Sear Bliss have gained some attention in the black metal scene, but amidst all this lies the exalted Tormentor and the brilliant black metal album ‘Ano Domini’ and the most revered track of all, the infamous black metal anthem of all ages, ‘Tormentor’ without the mention of which no black metal discussion is complete. So, when an old school death metal emerges from that country it does turn your curiosity notch up a bit. The band in question here is named Tyrant Goatgaldrakona and has 2 members which boast the names Hellfire Commander of Eternal War and Pain and Grave Desecration and Necrosodomy, with a logo designed by a company called Sickness 666 and a black and white album cover which has a goat reading an old black book in front of a sacrificial altar on which lies a pile of skulls and is surrounded by a few members of some secret satanic cult while there is a meteor shower in the sky. Oh, and there is of course a pentagram just above the band logo. If this doesn’t scream bloody metal I don’t know what will. As contrasted to the image that the band tries to put forth with their over the top imagery and names the music is primitive and brutal. 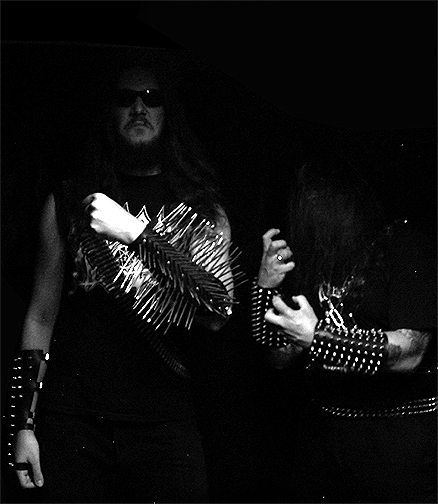 The mold of death metal that this band embodies is that of a savagely violent form of death metal. 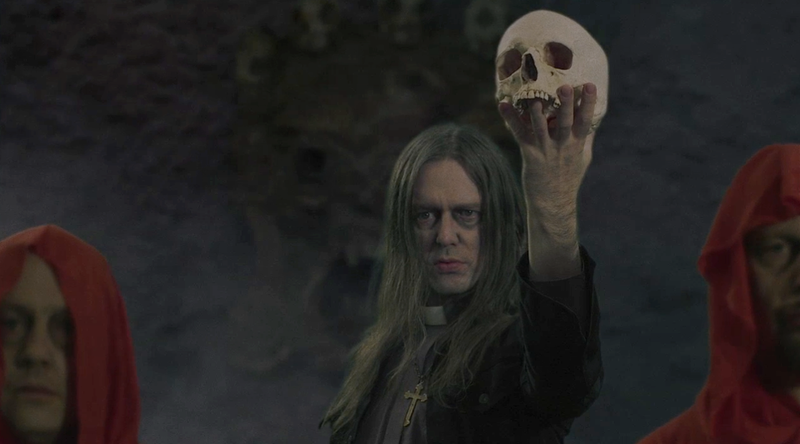 The band obviously worships at the altar of Incantation as is seen in their music and is at rare occasions dotted with influences from the Swedish metal scene. The bands main aim is to arrive, raise hell and leave. Its inclination towards just leaving a message in a small compact form without the frivolous sweeping solos or highly technical compositions is in a way the attitude that started the metal genre as a whole. Right from the onset the band the band unleashes an aural onslaught of a thick slab of death metal suffering which with its unrelenting constitution grips the attention of the listener. The heavy Incantation aura can be heard throughout with the signature Incantation like extremely heavy riffs being pummelled out like there was no tomorrow. The vocals range from guttural to whispered and when guttural they are very reminiscent of the mighty Craig Pillard. 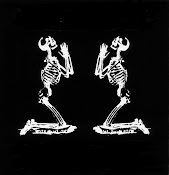 As compared to the bands previous release which was their debut was an EP by the name of ‘Sign of Moloch’ which was more on the slower side of things this release is relentless throughout. The songs are more varied, complex and well thought of and instead of coming off as a brainless Incantation clone the band add a whole lot of originality in the composition. Though the band is very highly influenced by the American scene of old school death metal there are shades of the archetypal buzz saw guitar tuning and riffs of the Swedish death metal scene as is seen in a couple of riffs in tracks like ‘The Mountains of Irkalla (From Life to Death)’, ‘Church Of Fire’, ‘Dawn Of Decay’, ‘King of the Desert (Malkum in Rex)’ and the title track. The drumming is never just lost in the background. Though the drumming for the majority of the part acts just as support it never takes the centre stage but at times it used as the catalyst to thrust the band forward with blastbeats in tracks like ‘The Mountains of Irkalla (From Life to Death)’ and ‘Church Of Fire’ which are evocative of Jumpin’ Jesus played with sincere precision. The true strength of the band lies in its ability to change the momentum from hyperspeed to snail paced death doom riffs that are highly infectious with their simplicity and headbangability with impossible fluidity as seen in tracks like ‘The Mountains of Irkalla (From Life to Death)’, ‘Dawn Of Decay’ and ‘Arcanum Secretum’. If you have been following the band since its inception you will notice unlike most bands that write good small songs and falter at longer track, Tyrant Goatkaldrakona can craft the longer tracks very well. In a rather short album where most tracks are 2 – 3 minutes long the first and last track are over 6 minutes long and everything that the band stands for can be heard here, and with such a unique ability and track placing the band starts as well as ends off with a bang begging the listener for more. Though highly influenced by the Incantation school of music the band also reminds the listener of Black Witchery is songs like ‘Horns in the Dark’ with its frantic drumming and its penchant for war metal. In the vast spectrum of death metal the class of music the band chooses to play the and with the influences the band has chosen the scope for variance reduces to quite an extent but with the album lasting only 30 minutes the album never becomes tedious. This and the fact that there are numerous tempo changes and solos dotted throughout also prevent boredom and sounding as if the band has run out of ideas. The clear production and the slightly muddy guitar tone aid the band well in its objective and adds the depth this kind of music needs. A bone that I’d like to pick with the band is its guitar solos. The few solos which are here sound rather similar and scattered all over the place and lack construction which is rather surprising because the band has the ability to write memorable solos when well constructed and thought of as seen on the track ‘King of the Desert (Malkum In Rex)’ and in their Morbid Carnage which in this modern day and age is one of the very few old school thrash metal bands that are worth hearing and do not sound like trash. Maybe the band wanted to keep things fast keeping in theme with the album and that may be the reason for such faulty scattered solos but I think they act as a hindrance to some good song writing. Despite this, the band knows its death metal and knows what audience it wants to target. Not being from a country that is known for death metal or a well known label may be the reasons the band does not garner as much attention it deserves, but for those into the old school of music this is a band to follow in the future and a death metal album that is surely worth hearing. This band may well be the finest extreme metal import from Hungary after Tormentor.